I have been wanting to make this super food salad ever since I first was introduced to the red rice and quinoa combination from one of my favorite Singapore lunch spots, The Rotisserie. The restaurant had served this as a side salad to their rotisserie chicken, but I found the salad to be the main attraction. I adore the crisp yet fluffy texture of quinoa, and the fact it packs some serious health benefits is just an added bonus. This gluten-free, protein-rich seed includes all nine essential amino acids, and is a good source of magnesium. 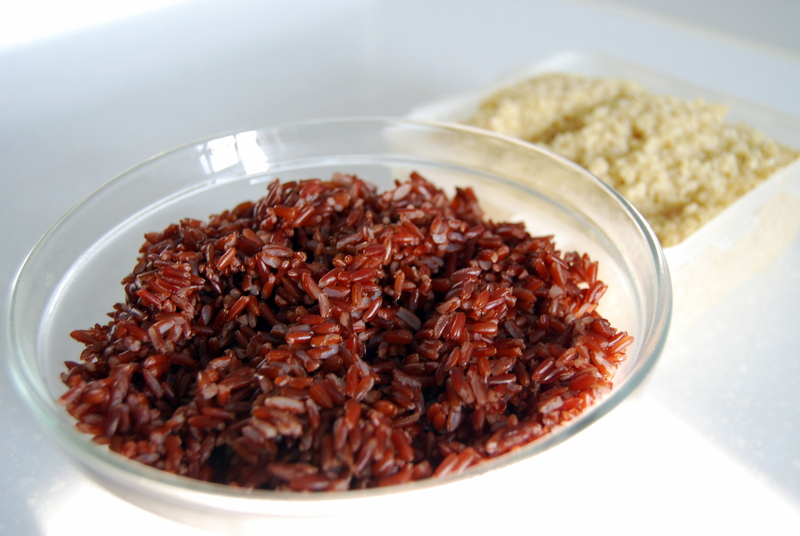 Not to be outdone, red rice is rich with antioxidants and is a great source of vitamin B, iron, calcium. Both quinoa and red rice have a wonderful nutty flavor and I find the combination results in nutritional bliss! I couldn’t recall exactly what was in the salad besides some caramelized onions and pistachios, so I took a peek online for inspiration. I found a recipe for Red Rice and Quinoa Salad with Orange and Pistachios which had a beautiful citrus dressing for the salad that I definitely want to make again. I made some minor tweaks to the recipe by replacing the dried apricots with dried cranberries, and using parsley instead of scallions. I also skipped the arugula because I paired this with my Roasted Vegetable Salad which had plenty of leaves. Next time I make this, I would love to use pomegranate seeds as the sweet crunch would be perfect for this savory, citrus salad. 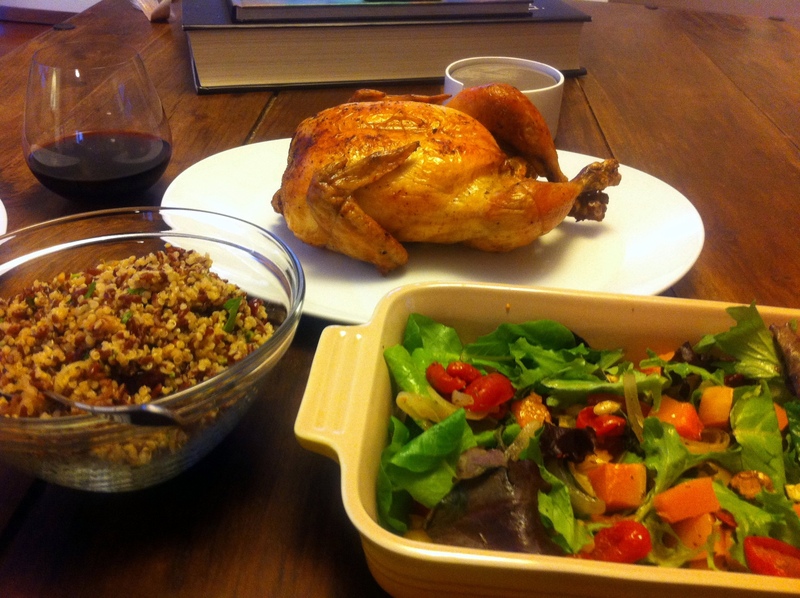 I served this Red Rice and Quinoa Salad with a Simple Roast Chicken and Roasted Vegetable Salad. For cooking the rice and quinoa, I generally find following the packaging instructions to be pretty accurate. The water to grain ratio is usually 2:1. I cooked the red rice in a rice cooker (30-35 min) and the quinoa over the stove top (12-15 min). Transfer the cooked rice and quinoa to separate bowls to let cool. 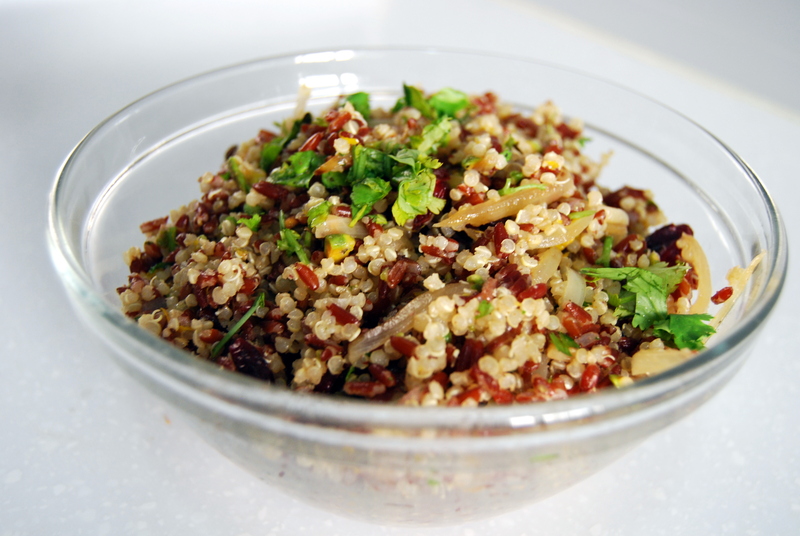 ** You can make the quinoa and red rice ahead of time and refrigerate separately overnight. Bring to room temperature before proceeding with the recipe. In a medium skillet, heat 1 tablespoon of the olive oil. 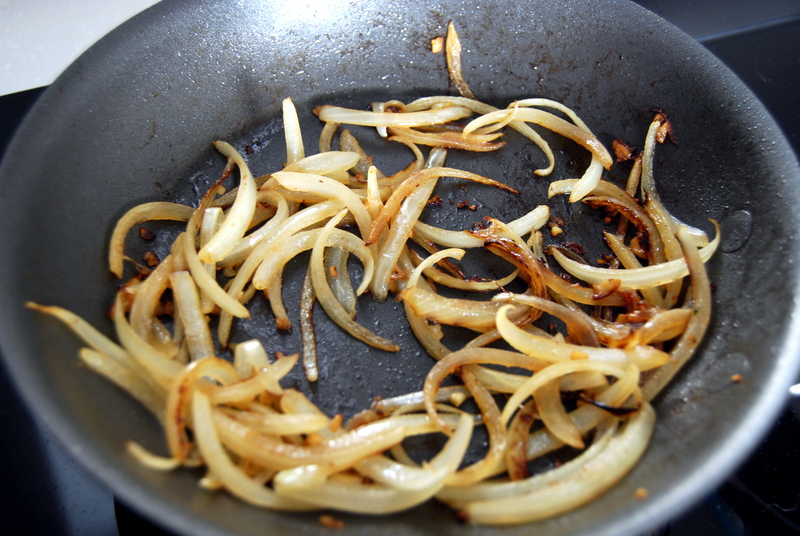 Add the onion and garlice, season with salt and pepper. Cover and cook over moderate heat, stirring occasionally, until golden brown, about 10 minutes. Let cool. In a large bowl, combine the orange juice, orange zest, lemon juice, and the remaining 3 tablespoons of olive oil; season with salt and pepper. 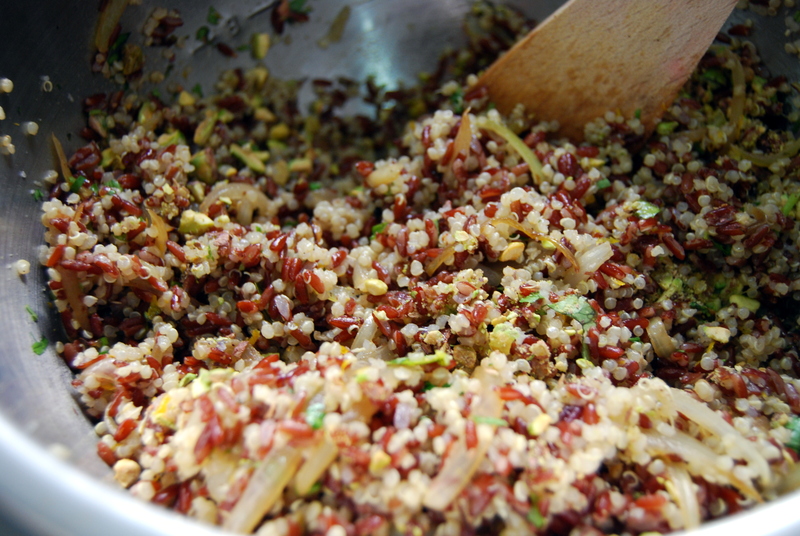 Add the quinoa, rice, onion, craisins, pistachios and parsley and toss well. Serve with the arugula.